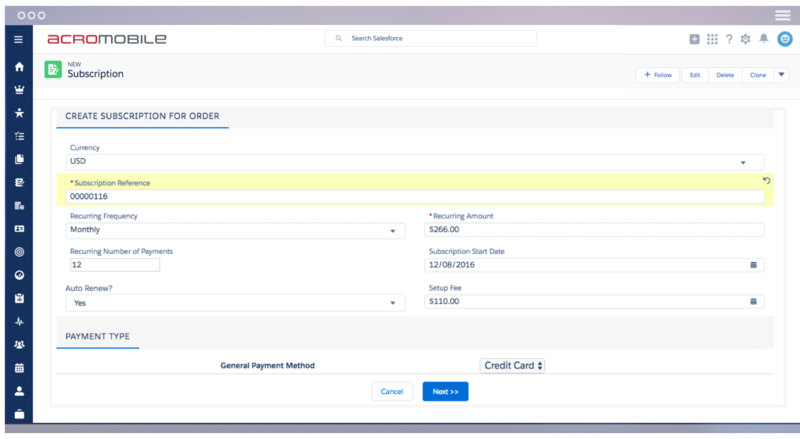 Payment tokenization, Recurring and Subscription billing, Capture and Settlement, Partial and Full Credit, Split Capture, Reauthorization, Standard Checkout and a lot more in one product. Acromobile is a Salesforce OEM. We are natively built on salesforce.com's platform. All of Acromobile's functionality works natively in your existing salesforce org. If you don't use salesforce, you get salesforce as part of Acromobile. 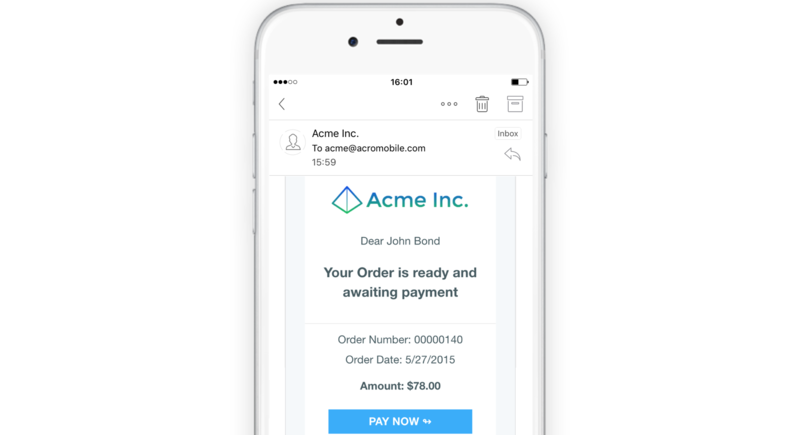 With our responsive email templates it's now easier than ever to send Payment Requests to your customers. Customers pay on enterprise-grade secure payment pages and you don't have to worry about payment security. Get paid by phone or mail with payment processing. Customer orders by phone or mail order with debit or credit card. You store only the card token such that the entire card number is never exposed. Acromobile makes it easy to accept repeating payments for SaaS, media subscriptions, donations and more. You can store your customer's payment information securely, and acromobile automatically handles each billing cycle. Get your customers together in one place. Where they can view and pay their outstanding Invoices and Orders, and 'Login to Pay' on payment requests. - Customer community users can login to track and view their Invoices and Orders. - Mobile web and Tablet compatible web app. - Engage your customer community by pushing updates and promotions. 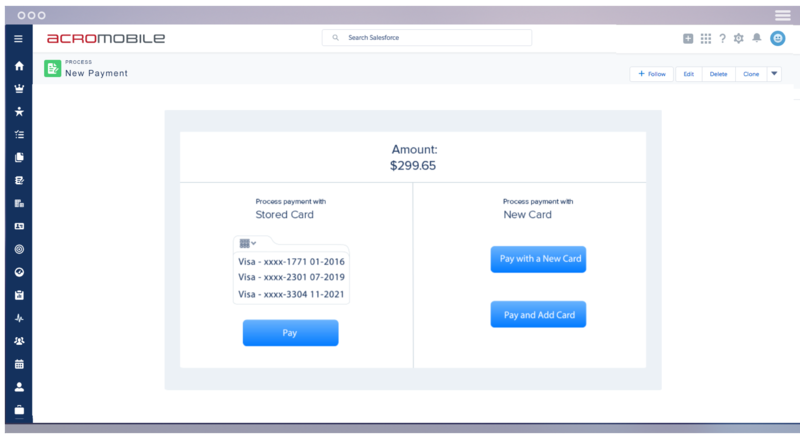 Process secure credit and debit card payments using Payment Links, QR Codes and within salesforce.com. Enable teams across your organization.